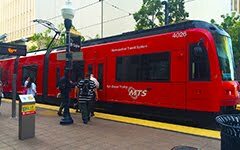 California bill would accelerate transit projects: "Touted as a way to reduce congestion, a California state lawmaker wants to make sure funding for Los Angeles area transit projects does not dry up anytime in the foreseeable future. Assemblyman Mike Feuer, D-Los Angeles, introduced a bill Wednesday, Jan. 4, to help pay for local transit projects more quickly. If approved by lawmakers, voters in Los Angeles County could soon decide whether to extend the length of the Measure R sales tax authorization."